Pittsburgh is BOOMING these days with smart, creative and cool people. When I first moved here on a whim many years ago, Pittsburgh was a perfectly nice city across the state from my home in Philadelphia. It seemed like an easy move to test the waters of living somewhere else. 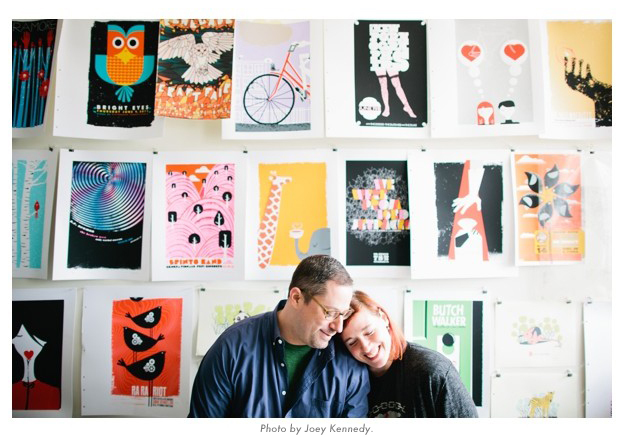 To that end, we’re incredibly honored to have shared a recent Saturday with 412Creative’s Elvira Eichleay and Joey Kennedy so that they could put together this wonderful piece on our studio, our process and our creative lives in Pittsburgh. 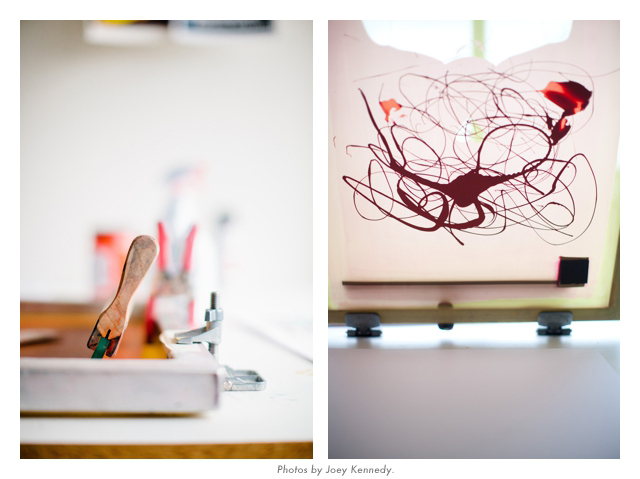 To read the full interview profile and see many more lovely photographs by Joey Kennedy, just click here and visit 412Creative! We can’t wait to hang out again soon! This entry was posted in Blog features, Interviews and tagged 412creative, artist profile, arts, creative blogs, design, design blogs, elvira eichleay, freelance, hand pulled prints, hand screen printed, joey kennedy, life, pittsburgh, pittsburgh is awesome, printmaking, rock poster artists, rock posters, screen printing, silkscreen, silkscreening, studio, studio tour by allison. Bookmark the permalink.